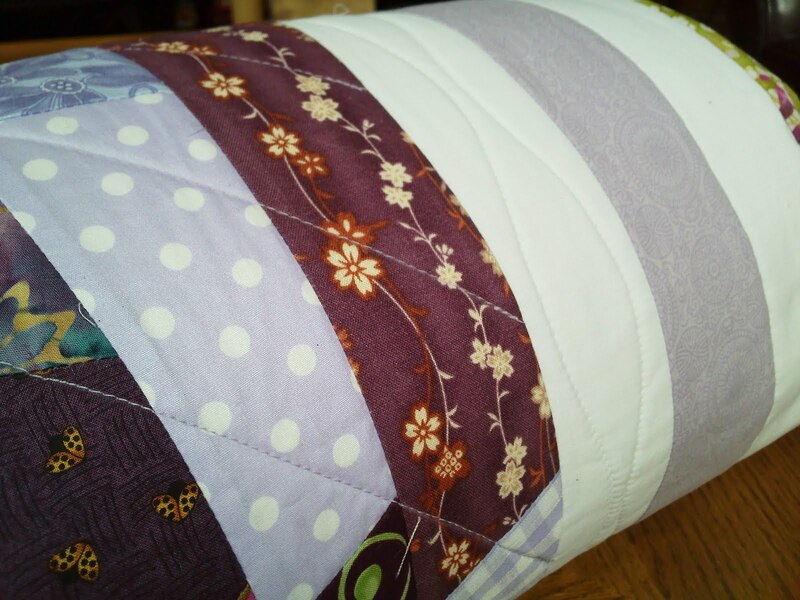 This quilt is called Crazy, not because my daughter is crazy! 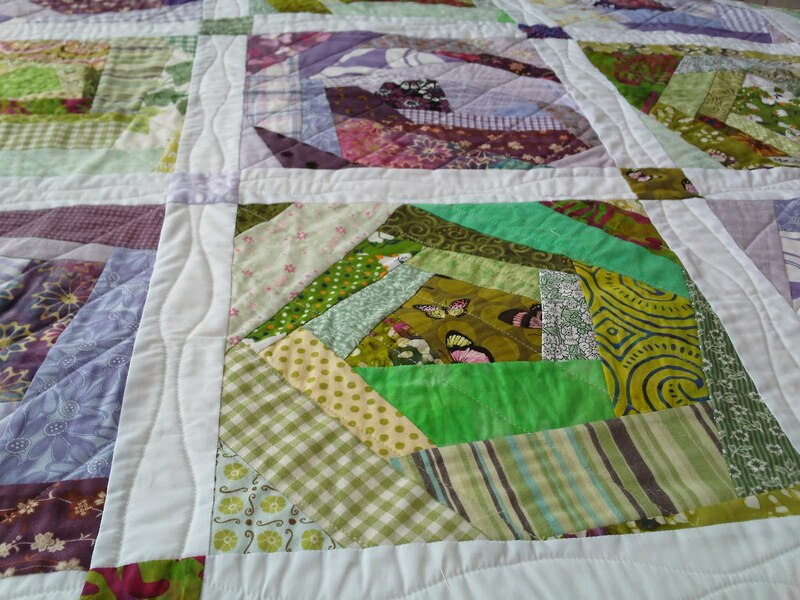 No, crazy because the patchwork technique used to make the blocks is called crazy patchwork – one of my favs because you get to use up all your scraps. This was a first for me using basting spray, and I have to say it made the quilting of this large quilt much, much easier under a conventional machine. I quilted diagonal lines through the blocks & wavy lines through the sashing. 2. My LQS told me to spray a section at a time and iron the quilt top down on to it as you go (& same again for the back). Tricky enough with a large piece on a small ironing board and not letting bubbles of fabric appear. But made more tricky if you have a hairy, thread covered carpet like mine, as the large quilt, drapped over the ironing board somehow managed to pick up lots of extra threads which I was forever picking out of the spray glue! Note to self: Hoover carpet before spray basting, and don’t start it at 10.30pm at night when you need a bit of muscle power to work with it! Apart from that, I would definitely recommend spray basting quilts, especially larger pieces. 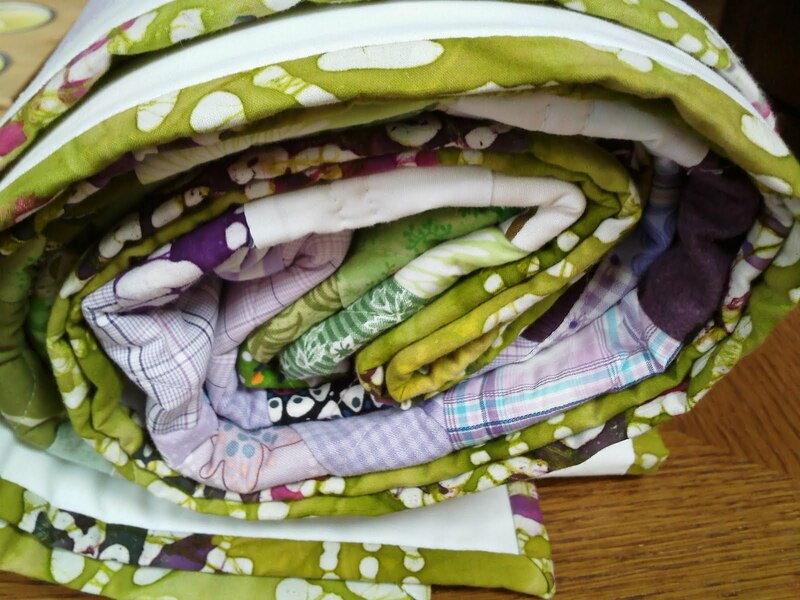 You get a slight stiffness to the quilt, which is what makes it easier to quilt, but then you MUST wash the quilt afterwards (I’m not a huge fan of the ‘wrinkly goodness’ look to washed quilts I’m afraid, but no biggy for the benefits of easier quilting!). So I guess I can now remove the Crazy Scrappy Quilt-a-Long button from Aneela I’ve had on my sidebar since April! 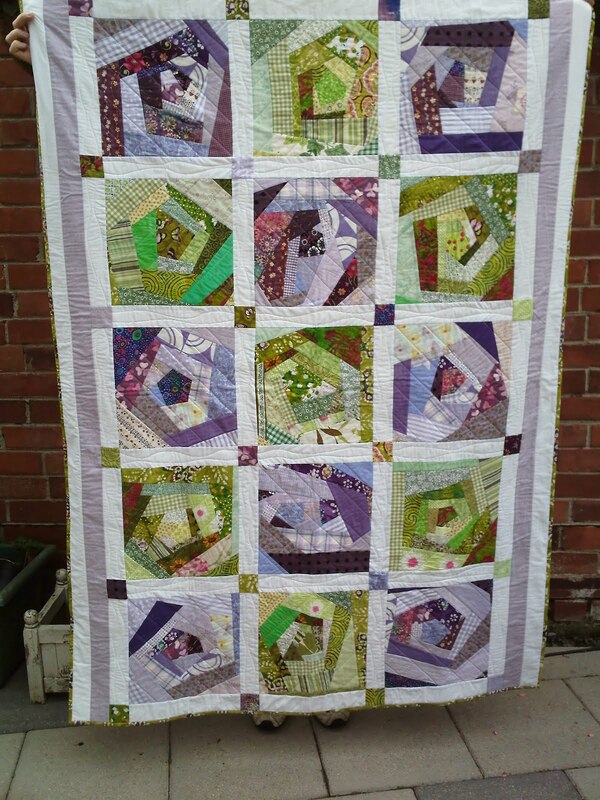 Job done, lovely quilt, happy daughter (who’s really not crazy!). Next Next post: Where did July go?